This post contains affiliate links. Thanks for supporting Pitter & Glink! Hey, y'all! 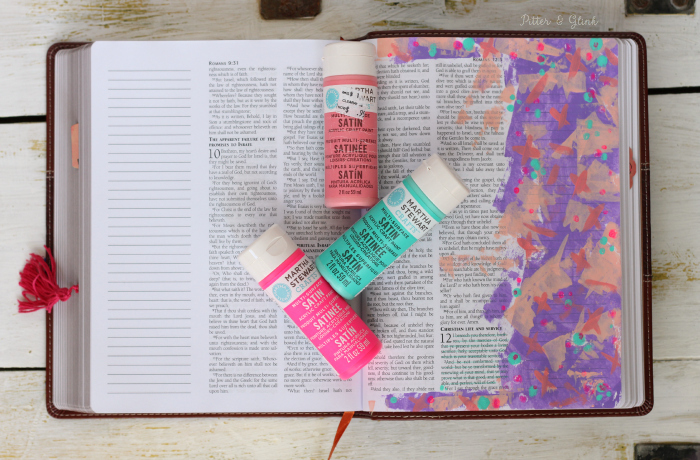 If you follow me on social media, you've probably noticed that I've fallen in love with a new kind of art: Bible Journaling. I love being creative period, and being able to pair that with Bible study has really given me a new excitement about studying God's Word. When I've posted some of my illustrated Bible pages on Facebook and Instagram, I've had some requests for me to share my process, so that's what today's post is all about. I'm going to show you some of the pages I've done and walk you through my process from start to finish for one page. Bible journaling has really made me work on my perfectionism. As an English teacher and book lover, I have a huge respect for books, so I had my journaling Bible for a month before I ever did my first page. First of all, I was scared that I would mess up. Second of all, I was scared to mess up a book, and not just any book, a Bible. After telling myself multiple times that this Bible was purchased solely for Bible journaling and that it's okay if I messed up, I hesitantly did my first page. This was it. I illustrated Isaiah 58:8, and I seriously messed up so many times I lost count. I stressed about the mistakes so much, but I was able to figure out how to correct them. The washi tape, tag, and stickers are covering up some ugly hand-lettering that I did. And, no, I don't really like the "band-aid," but it's better than what's under it. And all that taught me a lesson: it's okay to mess up. I can fix all the mistakes, and even if I can't, it doesn't matter. 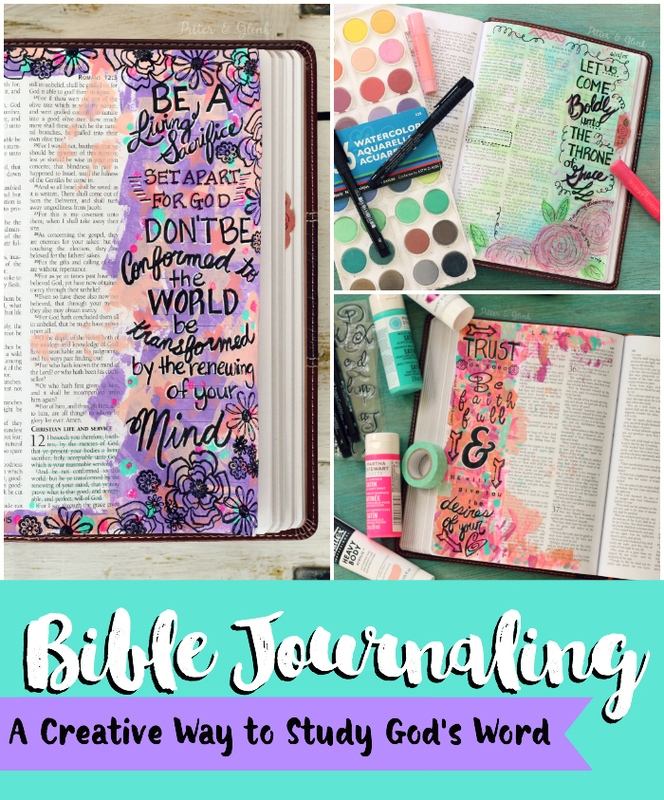 Bible journaling is about spending time meditating on God's Word while being creative. Since I was a little disappointed in my first page, I decided to do a second page that same day, and I fell in love with my illustration of Hebrews 4:16. I used watercolors and gelatos and did some hand-lettering that I actually liked. 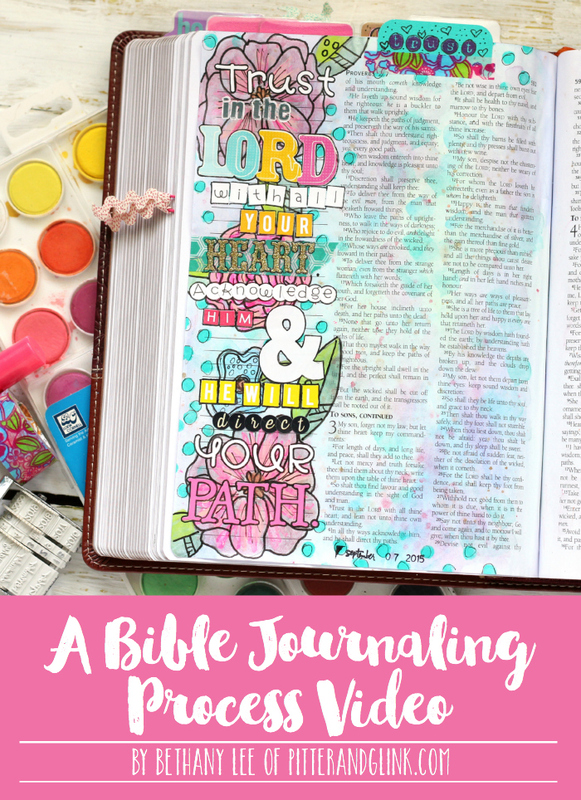 After this page, I was hooked on Bible journaling! With every verse I illustrate, I get a little more brave and a little more confident. I still make mistakes, but I am becoming more accepting of that and more confident in my ability to correct my mistakes. I had so much fun illustrating pieces of Psalm 37. I'm also adding to my collection of supplies for Bible journaling, and that's helping too. 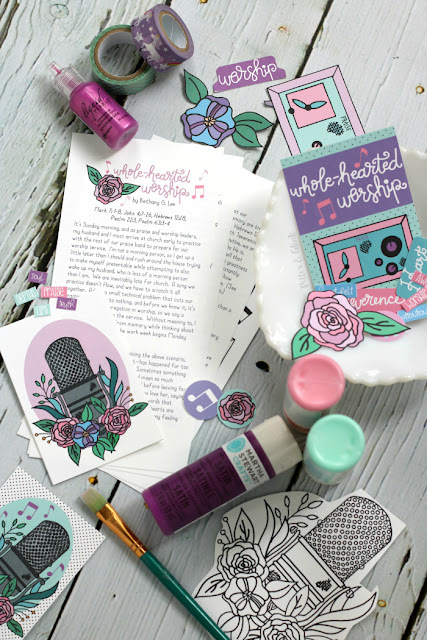 When I illustrated Psalm 19:14, I used some new stickers, stamps and my new Tab punch that I'm loving. And I'm starting to see my style as a Bible "journaler" start to develop. I seem to be drawn toward bright colors and bold letters. So at the request of some of my FB and Instagram peeps, I want to walk you through my process of creating a page. I'm going to link to some of the products I use in this page. These product links will be affiliate links, which means that if you decide to purchase something through one of the links, a small percentage of your purchase will go towards supporting my blog at no extra cost to you. (Thanks!) And just in case you're wondering, I'm doing my journaling in a special type of Bible called a Journaling Bible. 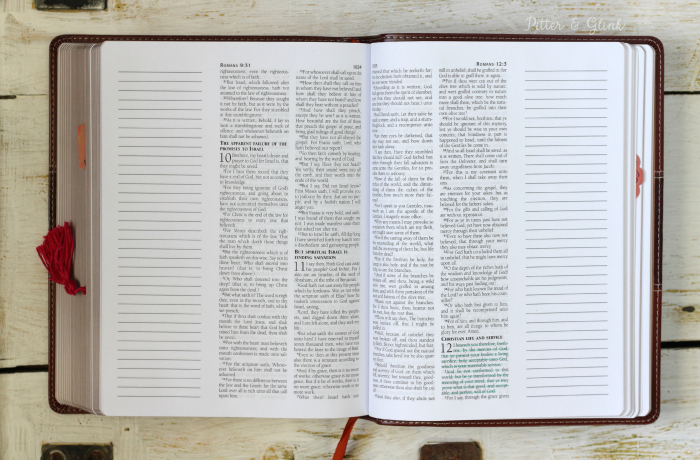 My Is a KJV Journaling Bible, but you can get different translations with lined or unlined journaling columns. The first step of my process is, of course, selecting a verse that I want to illustrate/journal. I don't have one specific way I choose a verse. Sometimes I select a verse that's always been a favorite. 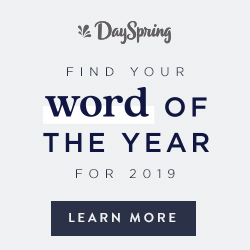 Other times I select a verse based on looking up a specific word in the Bible that I want to learn more about. For example, if I want to learn more about faith, I may do a Google search of verses that talk about faith in the Bible and read through the verses and study them. If one speaks to me, I journal about it. Another way I may choose a verse is based on a Bible study. I like to do studies from She Reads Truth. Sometimes a verse used in one of the studies inspires me to journal. For the entry I'm sharing with you today, I chose Romans 12:1&2. This verse has stuck with me since my middle school years. My dad actually had me memorize it when he taught my Bible class, and I believe that the verse speaks to what it means to be a true Christian. It means that we aren't like the world. We are different. But we're not different to boast or to act like we're better than everyone else. We are different as a sacrifice to God and to glorify Him. We are able to be different by constantly renewing our minds through fellowship with God in prayer and reading his Word. This fellowship shows us how we should behave in ways that are pleasing to God so that He can be glorified in our lives. After I choose my verse, I start with a base coat of paint. Sometimes I use watercolor paints, but more often I use acrylic paint. For the base of this page, I used Liquitex Heavy Body Acrylic Paint (Light Portrait Pink & Brilliant Purple). 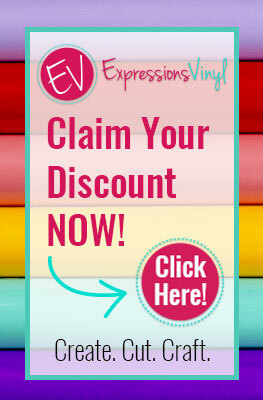 Shanna Noel recommends this paint on her Illustrated Faith website, so I had to buy some, and it truly is great! Before I begin to paint the page, I always put a piece of waxed paper behind the page I'm working on to protect against any paint messing up other pages in my Bible. To spread the paint on the page, I use Shanna's gift card technique. You simply put a small amount of paint on the edge of a gift card and scrape the paint over the page. This leaves a very thin coat of paint under which the text can still be seen. I should probably also mention that after each step of the process I blast some hot air on the page using my hair dryer just to make sure the paint is dry before going onto the next step. Next I add more paint in the form of dots or x's or whatever I'm feeling at the moment. I used the end of a paint brush to put dots of Martha Stewart craft paint on this page, and I paint some x's and lines with a paint brush too. After my little designs are complete, I lay a piece of printer paper over the page and rub to get rid of some of the excess paint. Then it's time to journal my verse. Sometimes I pick pieces of the verse to journal or I put the verse in my own words. I also look at different translations of the verse to see what words I like best to use. When I choose what I'm going to write, I like to sketch out a rough draft of my words on a scratch sheet of paper or graph paper. I prefer the graph paper because I can draw a box the exact size of my journaling space on my page and make sure that my words will fit the way I want them to. Then I use a pencil to write my words on my page. That way I can erase any mistakes. (You know, so I don't have to resort to washi tape, stickers, and tags to correct my mess-ups.) Once the lettering is how I like it, I trace over it with a marker. I like to use Pitt Artist Pens. I've used Staedtler pens, but a couple of times they have bled through my page, so I prefer the PITT Artist Pens, even though I do still use Staedtlers from time to time. Also, I don't always just hand-letter my words. Sometimes, as seen in the first few examples, I use a combination of hand-lettering, stamping, and stickers. To make my letters pop, I like to create shadows with different color pens. When I have black letters, I like to use a white Gelly Roll pen to create the shadows. I create my shadows following something I learned in a book about hand lettering: left and lower. The shadows should be on the left and below the lines of your letters. Then if I have space, I stamp designs around my words or I place stickers around them. For this page, I used a StazOn ink pad and acrylic flower stamps to fill in the space around my words. I finished the page by stamping the date with a Heidi Swapp Roller Date Stamp. (Some of my pages I finish by adding a tab created using my new Tab Paper Punch, but I didn't have the punch yet when I created this page.) 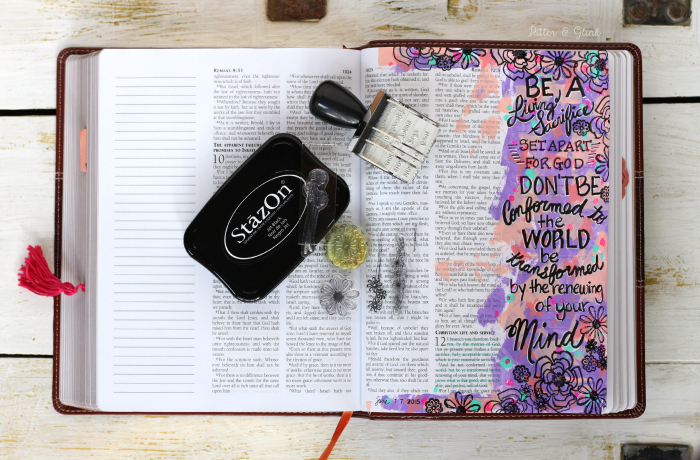 I will say that several Bible journalers have recommended the StazOn ink pad as the ink that won't bleed, but every time I use the ink I get a little bit of bleed-through in a few places. I believe this happens on the parts of the page that don't have much paint. Rebekah R. Jones recommends sealing Bible pages before journaling on them, but I haven't been able to find the sealer she mentions, and I haven't had enough bleed-through to mess up the back of an entire page yet. Any bleed through that has occurred is going to be really easy to cover up. And here you have the completed page. If you look closely, I'm sure you'll see some mistakes, but I'm okay with that. I love the page even though it's flawed. It's a great reminder of how God loves me even though I'm flawed. So what do you think? 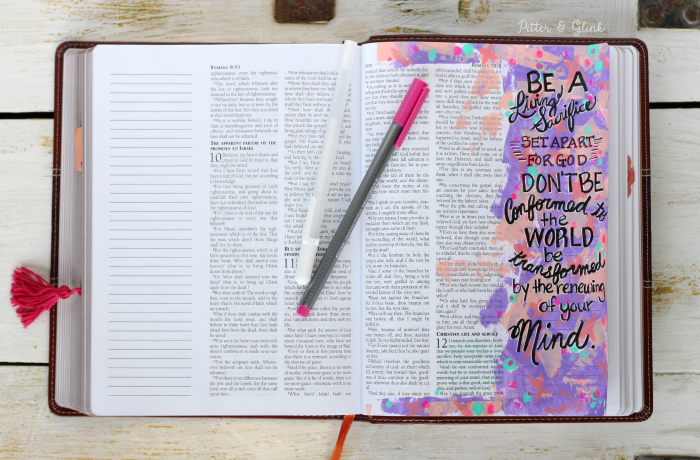 Have you been brave enough to illustrate or journal in your Bible? Would you like for me to share more of my pages? Would like you to see a video of me doing a page? That would mean me learning how to record a process tutorial and stepping a little out of my comfort zone, but I'd be willing to try if that's something y'all are interested in. Also, if you have any questions, let me know in the comments, and I'll try to answer them. How beautiful! I want to find some time to start doing this. 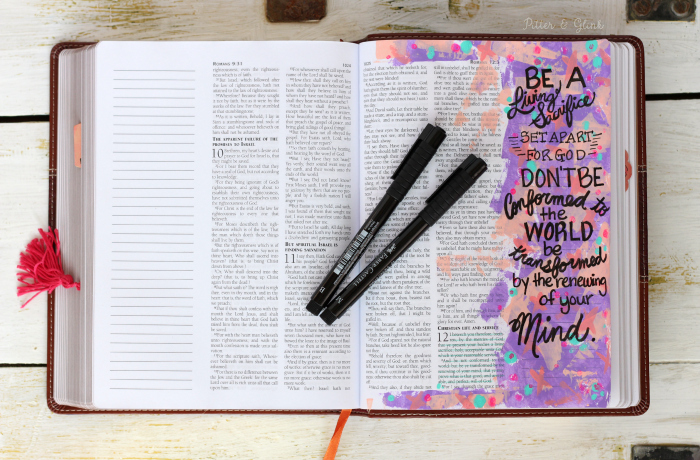 What a beautiful way to study the Word! Thank you for sharing this! I love journaling and haven't done it in a while. 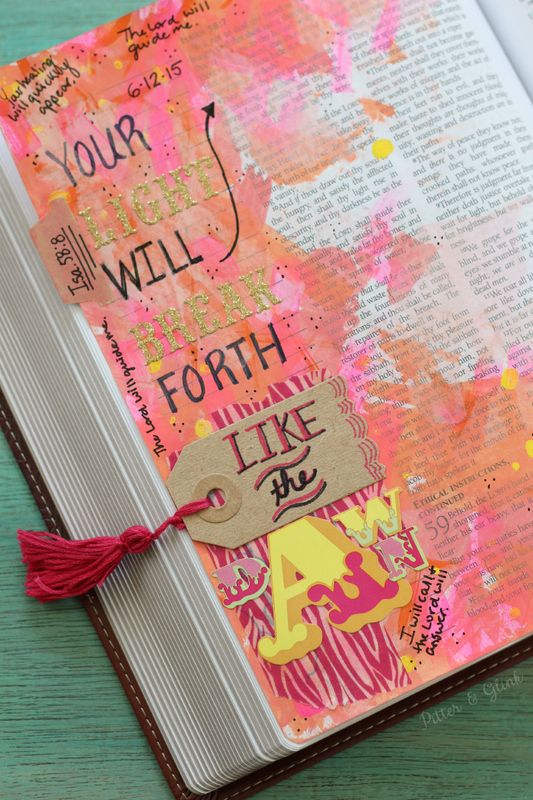 Your bible pages are beautiful!! Pinning to my journaling page. Feel free to share your pages at my weekly party if you like. Off to catch up on other posts. Hope your summer is going good!! This is new to me, Bethany, but I absolutely love it!! Thanks for sharing! Love your step by step process. I don't know anyone who does this...it's so beautiful and creative and something I would love to do! Thanks for sharing. Eek! I'm finally getting to SOAK up the goodness in this post and boy is it magnificent. So many things to say. 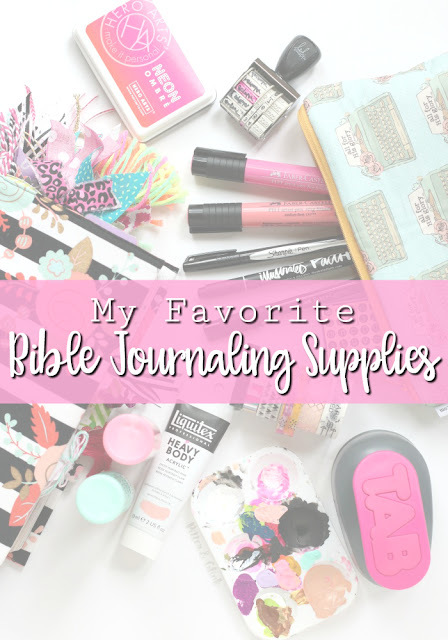 First, I love that you've fallen in love with Bible Journaling, too. Maybe it's an English-teacher-perfectionist thing...or maybe it's just plain awesome. Two, I love that you have your own unique style and I can totally see it as a through-line across your pages. I'm still very much trying to find my "style" and maybe I won't have one, but I do love that I see BETHANY all over these. Three, it was great to see your process and pick up a few tips! I love how your paint is in smaller strokes...that's something I want to try. And the white shadow on the black lettering is just divine. I've been looking for a better white pen, so you can bet your bottom dollar I'll be getting those gel pens you recommend. Pinned up a storm! And can't wait for your future posts. 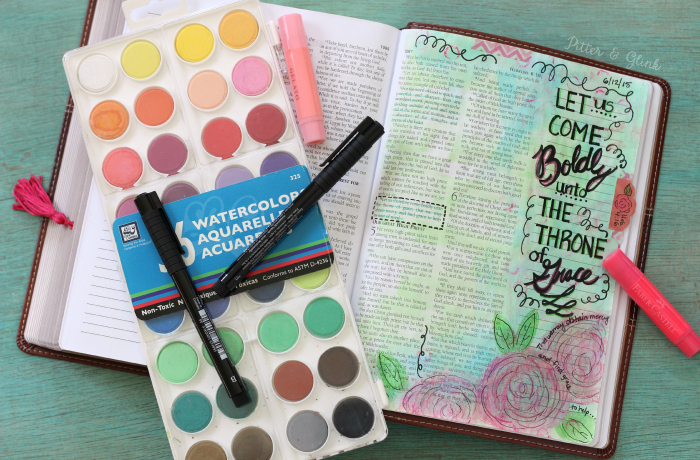 I've been following some other bible journalers and I just love the variety of art that is inspired by the scripture. Your art is beautiful. Thank you for sharing! Wow, I loved it. Too bad we do not have these materials and import costs too much, but rather the future want to use this technique. Thank you for sharing. Ah! If you make a video will be great. Wow! I love your pages and would love to see your process on video also. Thanks for sharing! I love this! Thanks for the step by step. I'm curious about how much of the paint and ink bleeds through the pages of the Bible. You probable can't journal on both sides of a page right? 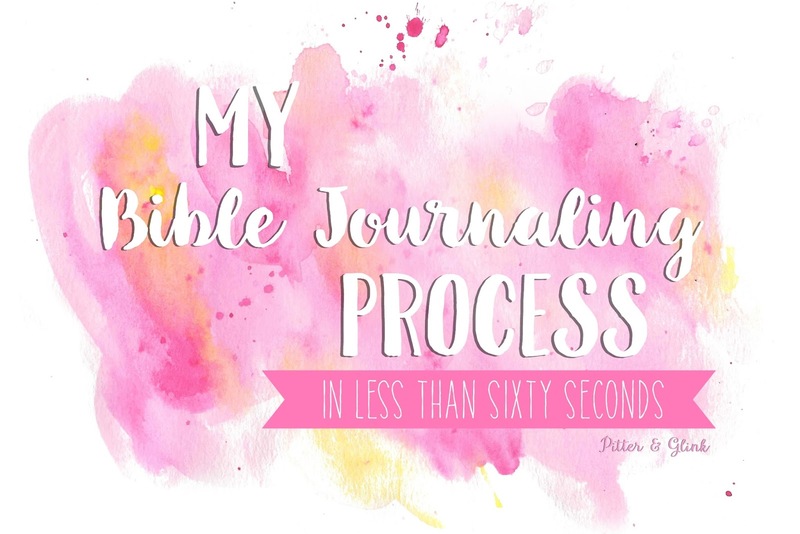 I just learned about Journaling Bibles this morning and now see your post. I do not consider myself to be artistic, nor do I even doodle much, but I'm drawn to this and want to try. Thanks for the encouragement! I've had my Journaling Bible for almost a year now, and I've yet to take the plunge and do anything with it. It would be fantastic if you could do some videos to get one started. I love seeing the hands-on approach in action. What a sharing person you are. Thank you so much for letting us see your process. 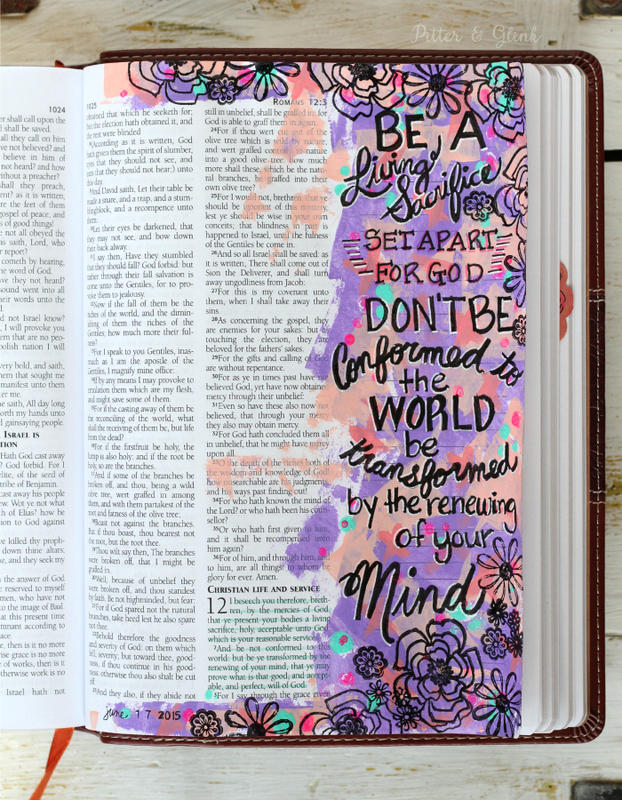 I've been art journaling for awhile but this really steps it up to another level. God bless. This is wonderful! Thank you so much for sharing your process! I'm a beginner, and I was just trying to figure out how to paint the pages with acrylics. Love the white pen highlighter! 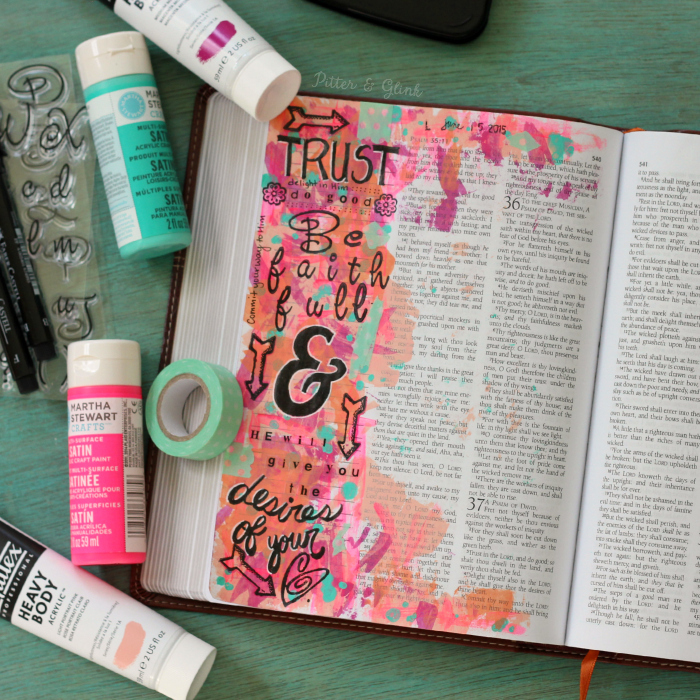 I've been so curios about painting in my bible. Small watercoloring I know dries but acrylic I was worried about it cracking. Your process helped me see some how you apply it thinly and in what order. I do want to know, have you experienced cracking in the paint though? I believe that you can get the Gesso sealer from Amazon. Thanks for sharing. Always looking for new ideas and it's nice to see someone who is real and shares their ideas! Absolutely beautiful! I am getting ready to purchase a journaling Bible.... One question. Do you have trouble with pens/paint bleeding through the pages? Does watercolor and heavy body acrylic make the paper wrinkly? Which type would you prefer?